So there are some days when my fridge and crisper are scraping the bottom. I put off buying anything till my weekly farm delivery list pops into my email, and I’m making do with very, very bare meals. This was one of those days. 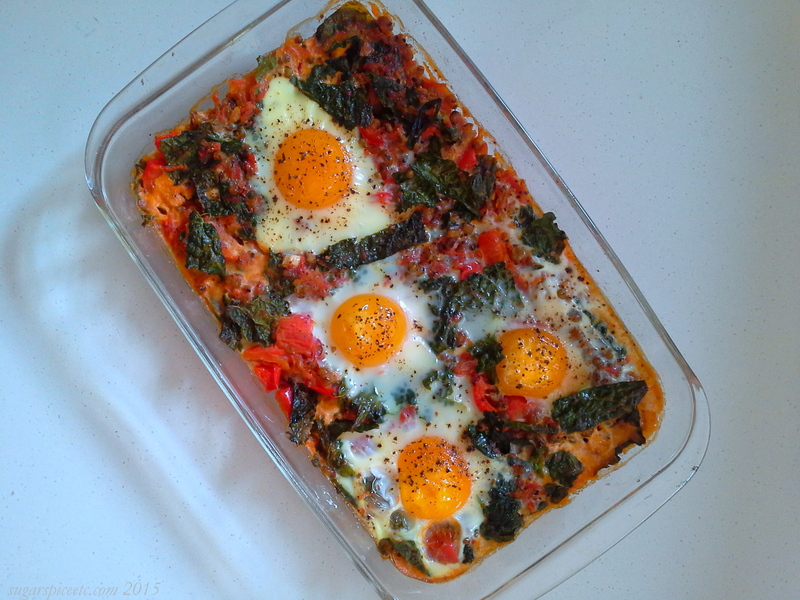 I had eggs, and some basil. Cherry tomatoes. Bread. And of course, all kinds of pulses and grains, but I really didn’t want to go the dal-chawal route again. Inspiration struck when I saw this post on Popsugar Food about caprese salad variations. Now the holy trinity is tomatoes, basil and mozarella. But since I was working with a skeletal fridge and pantry, I made do with what I had: goat’s cheese. I cracked the eggs into ramekins, seasoned with salt and pepper, added the rest of the ingredients and into the oven they went for 12-odd minutes. And dinner was done, just like that. I added some cream to the eggs, it gave the dish a nice silky texture. Sure, it’s not perfect: but store cupboard meals are never meant to be. But they sure do satisfy! 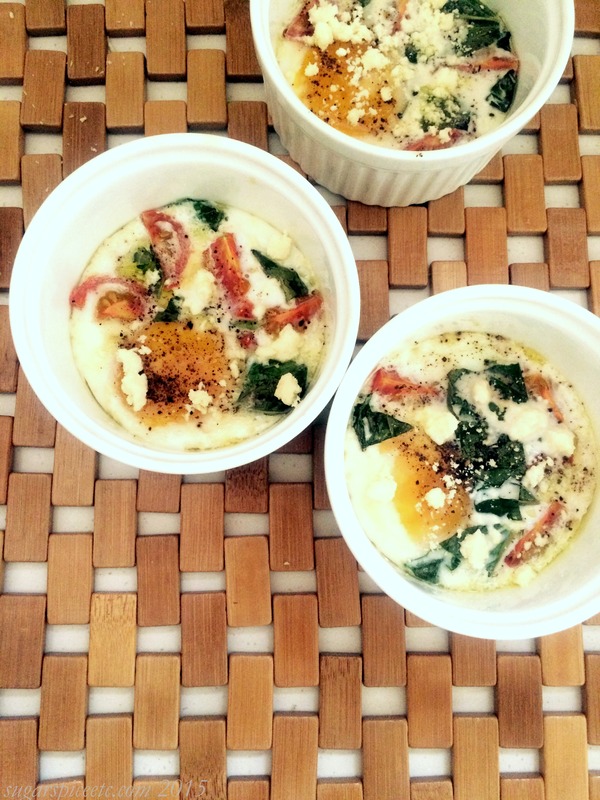 Drizzle some olive oil in the bottom of each ramekin and crack an egg into each one. Divide equally and scatter the torn basil leaves and tomatoes between each ramekin. Season with salt and pepper and add a tablespoon of cream to each ramekin. Bake in the oven for 10-15 minutes or until the white is set and the yolks runny. If you like firmer yolks, bake for 18-20 minutes. Once out of the overn, crumble some goat’s cheese over the top. I’ve baked with figs before, but that was in a galette, and there was a heady dose of frangipane, and that outshone the figs. Baked fruit makes for a simple and nourishing dessert, especially if you’ve had one chocolate cake too many. This recipe is inspired by Purple Foodie’s baked figs with goat cheese, except that I kept it unadorned- just plain figs with some rosemary, honey and a squeeze of lime. Ever since I baked Nigella Lawson’s rosemary loaf cake, I’ve been a fan of using the woody herb in desserts. The figs pair well with the rosemary honey, and the lime adds a little sharpness. 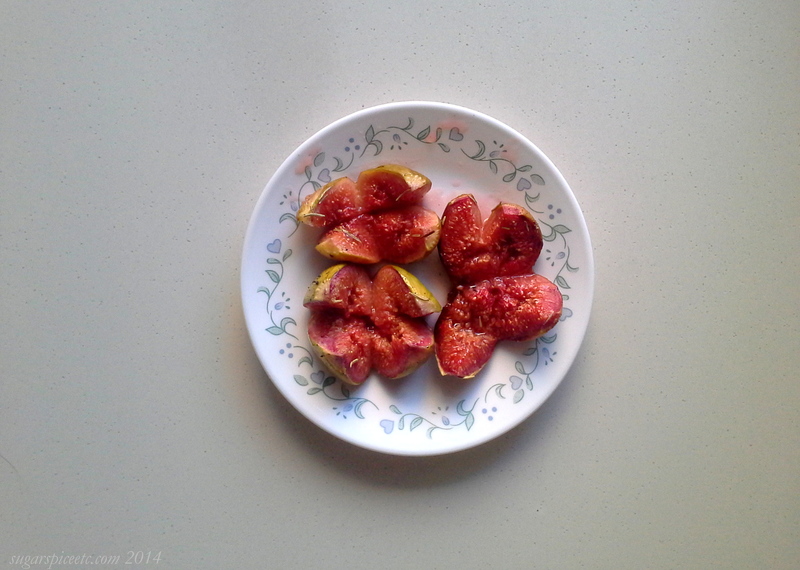 The cuts I made on the figs ran a little too deep, which is why they are pictured here, arms outstretched. Just remember to slit them about halfway through, especially since there is no stuffing! There is no recipe as such: just slit the figs halfway through, drizzle liberally with honey (or use a scant amount, if you prefer,) sprinkle some fresh or dried rosemary over the top and add a squeeze of lime. Bake in an oven preheated to 180 C for 10-12 minutes. Serve with whipped cream, ice cream or as is.